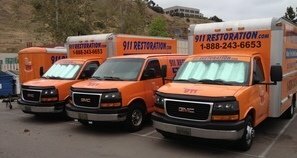 If your home is being harmed by water damage problems like roof leaks, sewage spills, pipe bursts, flooding, or washer bursts, water damage Gardena experts from 911 Restoration Los Angeles are ready to help. So you can get the help you need exactly when you need it, water damage Gardena specialists will be available 24/7 to take on those leaks. We have nearly four decades of experience helping homeowners get their homes back to being safe and comfortable. We’ll be checking for any indications of mold infestations and provide the necessary remediation to get rid of it along with any spores. We know how important it is to have damaged repaired right away, so expect us to work with speed, care, and the utmost professionalism. We can effectively take care of sewage spills for you. We will be wearing hazmat suits as we work in order to protect ourselves and to prevent the spread of disease. We will use state-of-the-art drying tools to better extract water and remove moisture. 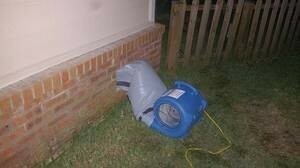 Through our 45-minute response time, you can expect those repairs to be done at the soonest possible time. Because we can arrive in record time, water damage Gardena professionals can stop the spread of water before it can lead to other concerns such as mold growth and wood rot. Once we arrive, we will be providing a free visual assessment of your property so we can recommend the best solutions at an affordable price. We offer a wide array of services for various structural problems. We will repair any damage done to your plumbing and to your interiors. We can extract all the sewage out of your home and we will disinfect the affected area using our industrial strength cleaning solutions. Water damage Gardena technicians are always prepared to provide a helping hand so you can get a fresh start, so give our water damage Gardena team with 911 Restoration Los Angeles a call today!